Captain America is the only major superhero who generally gets a pass for being political. Mainly because he was created as propaganda, namely punching Hitler in the face. The comics detail how he got his shield from President Franklin Roosevelt, shook hands with Bill Clinton, and even watched a the President of the United States commit suicide in the Oval Office after he was exposed as a supervillain in the original Secret Empire saga. In spite of his political pedigree, many fans were still upset two years ago when writer Nick Spencer wrote Captain America as a secret Hydra agent. 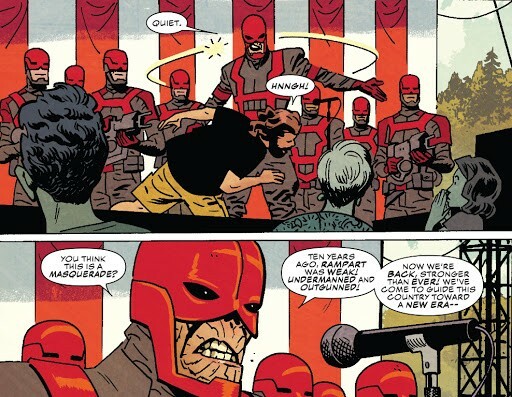 Hydra is considered an off-shoot of the German Nazis, so readers were understandably upset that a character who is most famous for battling Hitler would turn out to be a Nazi himself. Eventually readers discovered it was all the creation of an evil cosmic force that rewrote reality to eliminate the good Captain and replace him with the armor-plated, evil Hydra Cap. And, apparently, it was that same cosmic force that sent the good Captain back to earth to right the errors of Hydra. While Spencer’s ‘Secret Empire’ run turned out to be a political commentary on America, it was considered a colossal failure by most every conceivable measure. Captain America is supposed to be an embodiment of the American ideal not America as it currently is. 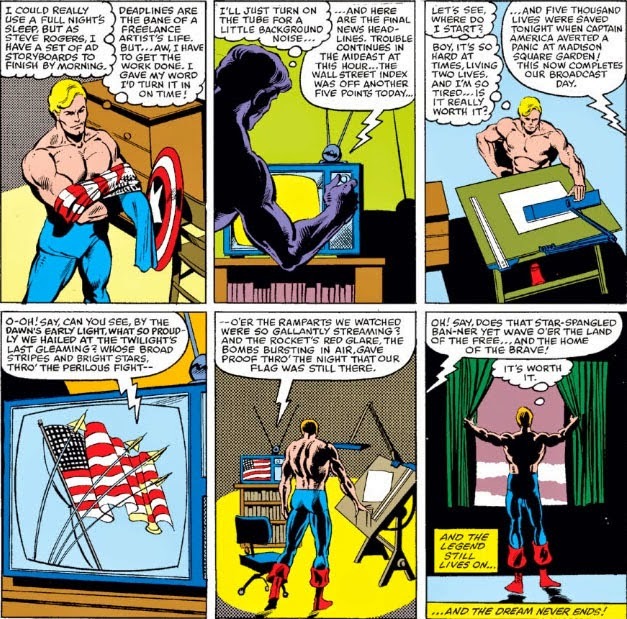 This formula has, at times, put the “Sentinel of Liberty” at odds with even the U.S. government, but Nick Spencer’s version was SO at odds with the core nature of Cap, he had to rely on a cosmic-wishing cube to make the story possible. Now, it seems like Nick Spencer will get to hold the next writer’s beer. On July 4, 2018, writer Ta-Nehisi Coates’ take on the Star-Spangled Avenger will hit the stands. His current run on Black Panther has been met with high-praise, but tepid sales. Just last month, the single issue floppy sold just under 25k copies, coming in at rank 90. However, the first collected trade, A Nation Under Our Feet v1, was Marvel’s best selling collection in March. With combined sales for all three volumes of Black Panther tpbs reaching just slightly north of 4k in units sold to retailers. Coates joins the writing staff for the Captain America comic series this summer after two years of writing for Black Panther. The nationally-acclaimed writer says he is learning to think like the patriotic hero in preparation for the role. This could be a good approach. In a recent discussion at SXSW covered by The Hollywood Reporter, Coates discussed his role as a writer for”Black Panther”, and brought up President Obama while discussing T’Challa’s frequent ally, Captain America. 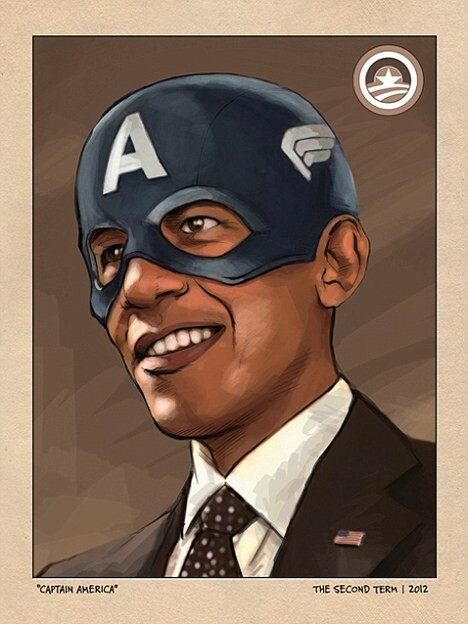 Several people might agree or disagree with that particular opinion, but since Coates has professed such adoration for President Obama, fans of Captain America should probably feel confident that the superhero’s upcoming story arc and reputation will be in safe hands. Ta-Nehisi Coates discussed this new writing assignement further in the Atlantic. …I’m not convinced I can tell a great Captain America story—which is precisely why I want so bad to try. Does C.B. Cebulski know about these opinions? If so, how can they be reconciled with the decision to hand over the reins of Marvel’s most patriotic character to someone who has no respect for police officers, firefighters, and first responders? Coates goes on to effectively tell his readers that every bad thing that happens to black people in America is the fault of white people, that even when blacks victimize blacks, it has its roots in white racism. He goes on to tell readers that whites cannot be redeemed, nor can the world itself, and the best thing any of us can do is to face life knowing that it’s all a sham. This is a good summation of where the acclaimed writer appears to be coming from in regards to American patriotism and heroism. Does that sound like Steve Rogers? It’s disheartening that Coates is unwilling to show any deference or honor to the brave first responders who so valiantly gave their lives to save others on September 11, 2001, and secondly to all the other men and women in uniform who serve and protect our communities and who deserve our utmost respect and gratitude. Instead, he casually slanders them with the contempt of a hack writer filled with misplaced burning rage against a country that has been remarkably generous to him. It’s even more disheartening that it comes from such a nihilistic viewpoint on race relations in America. In the same book, Coates also referred to “White America” as a “syndicate” designed to “dominate and control our bodies.” Is there any chance that these attitudes will manifest themselves in upcoming Captain America comic books? Previous Captain America writer Mark Waid has already set the table for Coates. His introduction of a group of white supremacists named “Rampart” seems very on-the-nose. After having “Captain Nazi” and Hydra pushed on Cap fans for the past few years, did Marvel editorial really think it was clever or creative to make the very next Cap villain a Nazi white supremacist group? Coates is, most certainly, a gifted writer, demonstrating effortless gift for analogy and illustration, a biting denunciation of evil, and an inventive deployment of unexpected words, but rhetorical gifts alone cannot explain the fanatical adulation his work has received. His outlook on race is fatalistic and deterministic, even frustrating many activists, scholars, and contemporaries. Coates’s essays consistently contain devastating and heartbreaking quotes and facts about America’s historic racial sins, but the truth is that America changes. It’s not 1861. It’s not 1961. It’s 2018; Current year America elected a black progressive named Barack Hussein Obama to two consecutive terms in office, and he remains one of the most popular politicians in the country. Sure, there are racists in the world, and they come in all colors and political persuasions, but a white supremicist nation probably wouldn’t re-elect a black President. 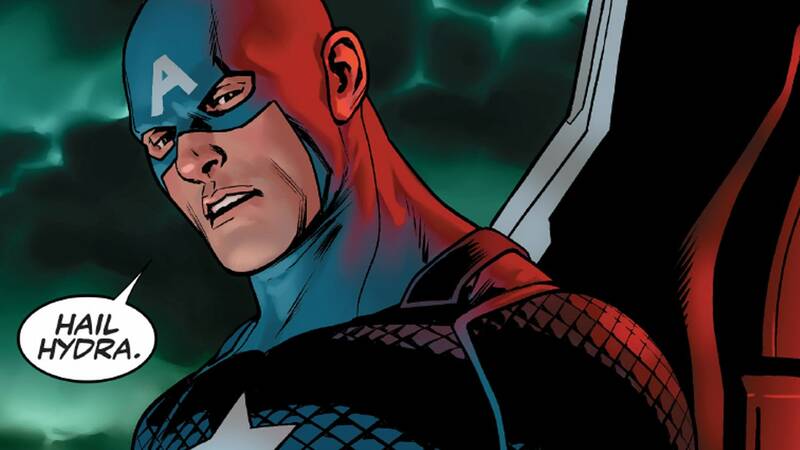 Will Coates’ Captain America celebrate the best of America, lament the worst, or both? Does this sound like a writer who will inspire readers of Captain America, or a writer that prefers to air grievances and spread despair? It sounds like he believes there is nothing any of us can do to make things better in the world, much less America. He sounds utterly hopeless, not at all like Captain America. If so much of Coates’ body of work is effectively discussions of racism and “white supremacy,” is this really the best writer for a Captain America comic book? Can a man who considers all firefighters and police officers as “not human” properly be the voice of such a patriotic superhero? Will his comparison of Steve Rogers to Barack Obama permit Coates to treat Captain America with a modicum of reverence, in spite of his assertions that he can’t offer us any hope? 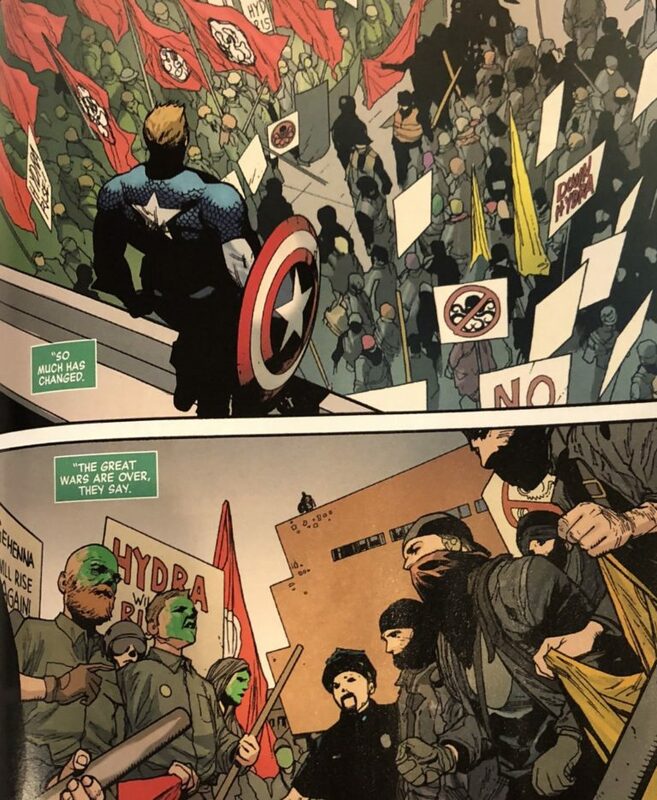 The leaked images (provided above from Bounding Into Comics) from the upcoming Free Comic Book Day issue of Coates’ new story have already revealed that the first arc contains references to Russia, Nazi’s and Antifa, so we already see our first clues that identity politics are going to be front and center. It’s interesting that while IDW Publishing was eventually forced to release their controversial writer who insulted readers that mourned the 9/11 tragedy, it appears Marvel is giving their flagship titles to a writer who considers the heroes of 9/11 to be “not human” and “menaces of nature.” It’s too bad that Coates has never apologized or walked back those statements. So what is Marvel up to? Could this new writer possibly damage the Sentinel of Liberty’s reputation for good? 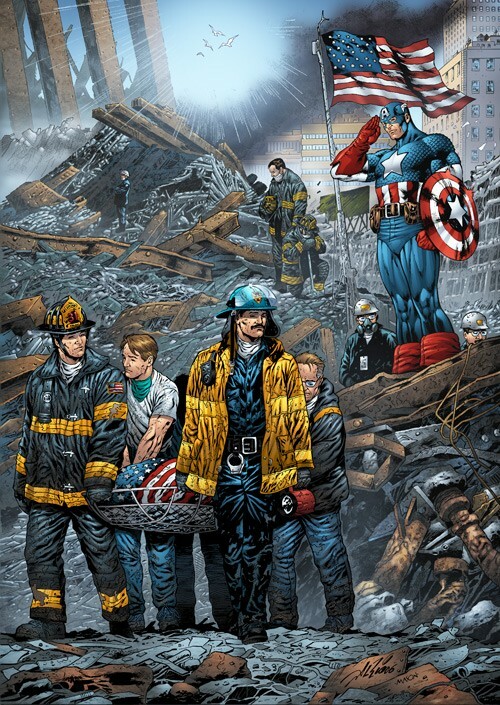 Captain America stands as an example of the best we can be. He embodies all of the classical virtues, including honesty, courage, loyalty, perseverance, and, perhaps most importantly, and honor. But at his core, Captain America is a normal guy, blessed with extraordinary abilities, who tries to do the right thing whenever he can. 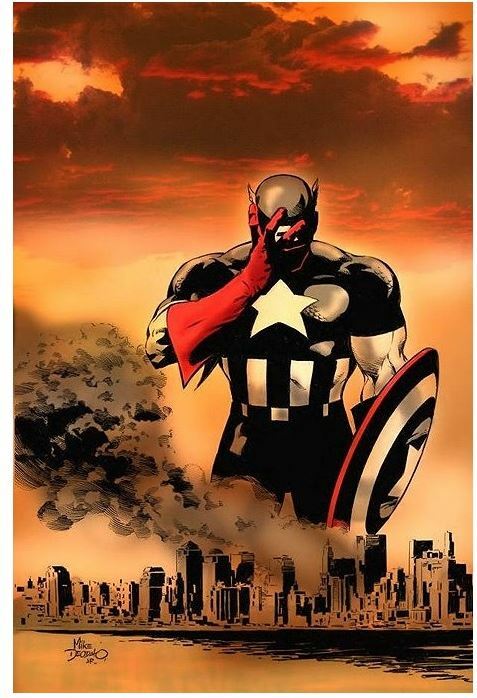 Captain America, still represents the ideology upon which America was founded, of having a better life than your ancestors and living free of tyranny and oppression, regardless of your race or creed, that many have fought and died for. Let’s hope Coates’ take on Steve Rogers still has our favorite shield wielding hero loving America and operating without partisanship. NEXT POST Next post: The July 2018 Comics Solicitations Are Here!